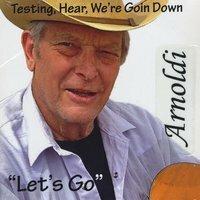 "A collection of known SINGALONGS, FOLKSONGS, sad and fun; two ORIGINALS by ARNOLDI , both funny, of the two one IS a LIVE performance at the Catalyst venue in Santa Cruz, ca. ( a long time ago ) "
a reel to reel recorded in 1987 at my home, for children of friends, for christmas.. I let that tape of songs go, at that time.. I liked the BUNCH OF SONGS, somewhat GOOFY... and WARM here and SAD there. So I "digitized" the reel to reel songs, and now a cd, somewhat unusual these days, but here you are.